Welcome to this HR Blast. In this two minute blast, we look at the issue of managing staff with very short service but with serious health issues. Over the past 12 months at Jaluch we have found our advice team frequently dealing with the issue of what do with a member of staff who has recently joined the organisation, but who clearly has serious health issues. Health issues which are impacting their ability to do the job they were recruited to do. Whilst employers are usually, and understandably, very supportive of employees who have long service and then suffer with long-term health issues, the same degree of support and understanding often does not apply when someone has very short service. But despite the frustration, how do you deal with this fairly? And in a way that protects your organisation from a possible tribunal claim, bearing in mind they haven’t even completed their probation period. Also, how can you assess them when they are not even doing the job you recruited them to do – the job that just a few days/weeks ago they said they could do? It’s difficult to see how having to deal with serious health issues when your employee only has a few days or weeks service is fair to an organisation – particularly when the ill employee is in a small team that will inevitably find it incredibly difficult to cope for any length of time without people fit to do the job they were employed to do! So, what, if anything, can you do about it? Whatever the approach you decide to take, it’s important to be aware of the potential risks associated with parting company with an individual. You cannot just sack them on the basis that they cannot do the job you employed them to do, without serious consideration of the situation. You probably need to take legal advice too. The fact that health issues have been brought to the table means that you need to tread with caution. So… no acting like a bull in a china shop just because you are frustrated. The first thing to consider is whether your employee has a protected characteristic. Do you know all of the protected characteristics as set out by the Equality Act? These help you identify the people who might be able to claim discrimination if they perceive their treatment by you was prompted by, or linked to, one or more of the following characteristics. In other words, if you dismiss them for health reasons, could they add into a tribunal claim that in dismissing them, you discriminated against them? If you don’t understand what is included in any of these characteristics or the extent of the protection provided by the law, then do ask. If a tribunal did find that you discriminated against your employee on one or more grounds, the compensation can be great, even if you followed a fair procedure to terminate their employment. The top band: The tribunal can award between £18,000 and £30,000 in the most serious cases of discrimination. This could be, for example, where a claimant has suffered a long campaign of discrimination or harassment. The middle band: The tribunal can award between £6,000 and £18,000 in cases which are serious but don’t fall into the top band. They might include a serious one-off act of harassment or a lengthy but less serious act of discrimination. This band also covers cases where the discrimination was relatively minor but led to the claimant losing their job. The lower band: The tribunal can award between £500 and £6,000 in less serious cases of discrimination, such as a one-off act of relatively minor harassment or discrimination. With this in mind, it is important to note that these are simply guidelines that the Tribunals use – compensation for a direct discrimination claim is actually an uncapped amount. The best advice we can give (short of lobbying your MP to change legislation!) is to deal with the matter in a straightforward, timely and supportive manner. straightforward – don’t over complicate it or chuck more things into your discussions with the employee that aren’t that strictly relevant or appropriate. Bulking up discussions to make you feel better about, or to feel you are justifying, the action you are taking is more unhelpful, than helpful. timely – don’t allow time to drift by or review dates constantly be re-arranged as its easier to deal with the day to day stuff than get to grips with something that feels out of your comfort zone. You need to be on this from day one and not let go until it is resolved. Don’t lose focus. supportive – take the time to think how you can be supportive rather than just focussing on the procedure to get rid of them. Other employees will be watching how you handle this and they expect their manager to treat everyone with respect and consideration. Also, your employee is not deliberately ill or trying to make your life difficult, so take the time to consider their feelings too. Keep in close (daily) contact with them to see what can be done to support them in returning to (and staying at) work. Don’t let time drift. Make short file notes of conversations and meetings and of course, attendance. If it doesn’t look like they will be returning to work any time soon or if you think their ongoing health issue is serious enough to impact their long term ability to do the role, then meet with them early on to ask them to give you permission to contact either their GP/specialist for a prognosis. Don’t be tempted to form your own view of their prognosis based on your personal experiences – make sure you’ve got an expert opinion. 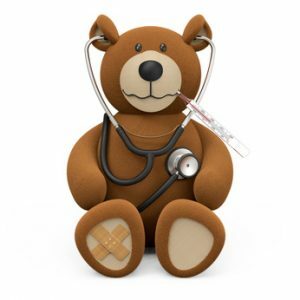 Consider stopping paying any sick pay above statutory minimum as soon as possible. Limiting pay often focusses people’s minds on trying to return to work. Make sure you check what your policy on company sick pay is for short term employees and do not be tempted to treat them more favourably than the contract requires just because it avoids conflict, because you feel sorry for them or because you simply haven’t had time to check what your actual contractual requirements are. Once you have received specialist medical advice, meet with your employee to understand what the options are moving forward. If they have a disability, you might find you need to discuss adapting a role to enable them to work, or otherwise you might find there is no work they can reasonably do so, with further advice, you may be able to move to discussions about dismissal. It takes weeks, if not months, to get specialist medical advice, so start early. 4-8 weeks is typical but it can take up to 3 months or even longer if the issue you are dealing with is complicated. The sooner you start this process, the quicker you will be able to move towards a decision. You usually can’t make a decision to dismiss (or understand how to adapt their role) until you have got specialist advice. Who do you ask for specialist advice? GP – often in our experience this is a waste of time with GPs being slow to respond and often refusing to give any useful information at all. Occupational health advisors – often your first port of call but choose your OH advisor wisely and check their qualifications to do this work. Private doctor/consultant – useful, and a quicker route to proper information, if your employee is already under the care of a specialist. Any ill health suspension should be on full pay. Think it through before you take any decision to suspect on ill health as it may be weeks or even months before you get the necessary medical report. When you are frustrated with an employee it is always tempting to cut corners. Perhaps you can get away with dismissing without first seeking medical advice? Perhaps you can choose to ignore the medical stuff and just focus on what they can’t do and use that as grounds for dismissal? Perhaps you can encourage the employee to recognise that they are not really up to the job and as a result, resign? Need any support with an ill health dismissal or even the dismissal of a short service employee who is misbehaving? Call one of our team for friendly, practical and pragmatic advice. No scare tactics, no nonsense, just plain speaking and down to earth commercial support. Find our contact page here. Otherwise we also offer training for managers in managing absence, managing performance and managing discipline. Also why not ask about our fantastic course for line managers ‘hearing the warning bells’ an overview of all the employment law stuff they really should be aware of.